Home » How to choose the best Home Builders in Perth? 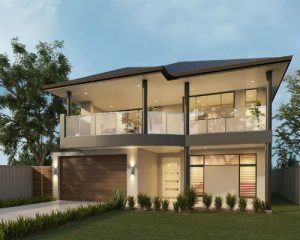 There is no shortage of home builders in Perth, whether you are looking to build a single or double storey home from standard plans, a custom home design or a unique luxury home. So how do you choose the right builder for you? Firstly you need to determine how much money you have to work with and which type of home suits your needs. For example, if you are planning to live in a country area on acreage you may want a home that is more suited to a rural setting; or you may have a lot which is long and narrow and requires a skinny house design; some suburbs are designed to have hidden garages meaning you may have to build a home with a rear garage. Once you have determined the type of home you need, you know your budget and you know how much land you have to work with you can start to research your design preferences and builders. Perhaps the most important requirement for you is an ideal design, in which case you can simply search the internet for the design you want and go with the builder that offers that design. However, there are many other factors to consider such as the builders’ flexibility of design, the materials used for the build, the level of customer service available, the length of time needed for the build, the reputation of the builder, whether they are a small Perth builder or a large builder constructing homes across the country and of course, price may be a deciding factor for you. What about if you don’t really know what you are looking for in a house design? You may want to speak to a custom home builder. Some builders offer a custom home design service and will draw up a plan from scratch incorporating any ideas you do have and suggestions for things you aren’t sure about. Great Living Homes are WA home builders using local suppliers and trades to bring our clients’ dream homes to life! Unlike the bigger home building companies we pride ourselves on our customer service and because we have fewer clients we can take the time to pay individual attention to each and every one, ensuring they get what they are looking for. We also have the ability to be very flexible with our designs, building materials and pricing thanks to 20 years of industry knowledge and experience as well as good working relationships with our suppliers and tradespeople.